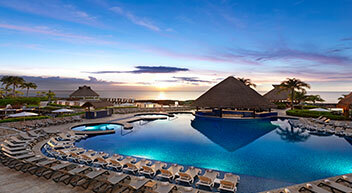 Save up to 68% + get unlimited spa, tours, and more with Limitless All-Inclusive. Restrictions and exclusions may apply. Hotel savings vary depending on date of travel. No choice should be made between rest, relaxation, or a luxe lifestyle. Limitless All-Inclusive means that Rock Spa® treatments and packages, golf, tours, special dinners, and more are included without limit in your stay. No more putting an amount on fun. 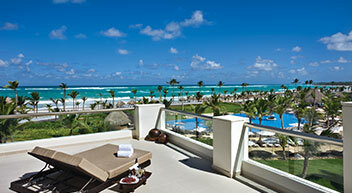 The all-inclusive Hard Rock Hotel & Casino Punta Cana is a 1,775-room rock legend come to life. Boasting 15 pools, nine tantalizing dining options, the largest casino in Punta Cana, and all the rock and roll ambience the Caribbean can handle. 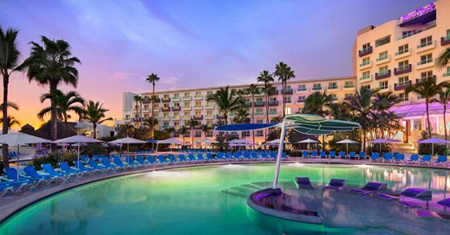 The Hard Rock Hotel Vallarta is an all-inclusive rock odyssey set against a backdrop of the sun-drenched Riviera Nayarit and surrounded by the breathtaking azure waters of Banderas Bay. Slip into your more comfortable self and soak in this sublime resort experience. The 1,264-room Hard Rock Hotel Riviera Maya is where luxury meets satisfaction on a stage of stunning tropical views, a private white sand beach, and exclusive adults-only areas. 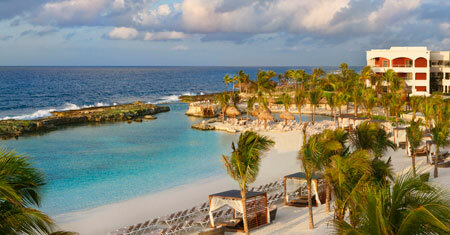 Heaven is a resort within the Hard Rock Hotel Riviera Maya and exclusive to adult guests. Here the spirit of Rock & Roll is elevated to a status all its own. With 394 ultra-posh rooms and suites, Heaven features some of the most boutique and stylish amenities your vacation has ever known. The Hard Rock Hotel Cancun is a bastion of sophisticated style with warm and welcoming service in Cancun’s famous hotel zone. Featuring 601 guest rooms, this 12-story monument rises above the white sands of a decadent Caribbean beach to take your breath away. Located on the shores of the famed vacation hot spot, Cabo San Lucas, Mexico, Hard Rock Hotel Los Cabos features 639 guest rooms, six restaurants, and both family-friendly and adult-only sections. *Limitless All-Inclusive cannot be exchanged for cash. There is no cash reimbursement if unused. Limitless All-Inclusive promotion is not combinable with other credits, discounts, or promotions unless specifically indicated. 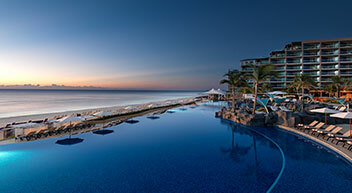 Limitless All-Inclusive is not transferable, non-cumulative, and cannot be held over for future stays. Promotion, prices, and applicable services are subject to change without prior notice. A 25% service fee will apply over the final price of all transactions using the Limitless All-Inclusive promotion on all services or products. Service fee can only be paid with cash, room charge, and credit card, and is payable to the hotel directly. All tours and services are subject to space and availability and must be booked/requested upon arrival, require reservation at least 24-hours prior to desired service, and must be purchased at full price. Tours may vary by destination and can be cancelled by force majeure or weather conditions. Limitless All-Inclusive is applicable only towards approved tours and only when sold by Hard Rock Hotels All-Inclusive Collection Vacation Planners. Limitless All-Inclusive in not applicable towards other tours provided by other operators.